It sat like this for about 7 or 8 months while i had other stuff going on. Worked on a little side project for my friend. 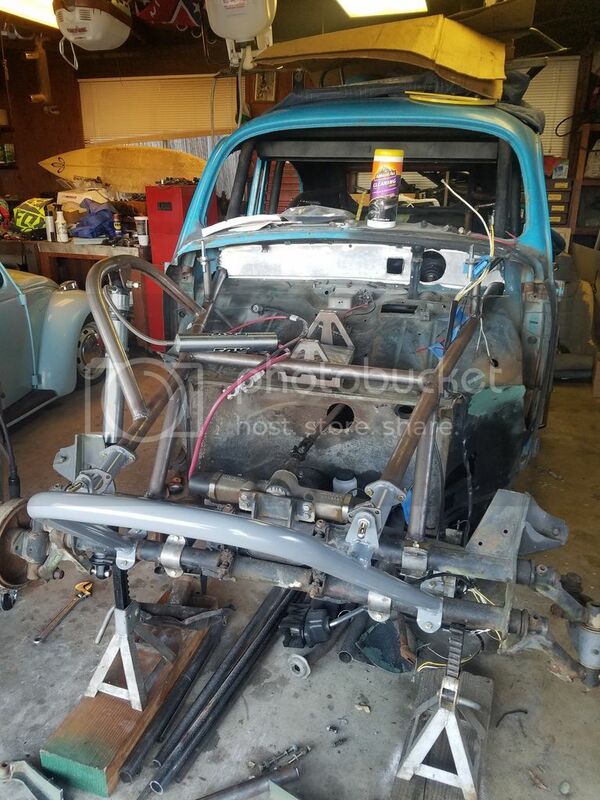 Amazingly got a T3 turbo and massive holley carb installed and running and fit under the hood of his 72 street bug. Only took us about 3 days to do most of the work then another week to finish it up and get it running right. The older b and d series Honda motors were counter clockwise rotating engines and I believe I read the reason for this was because they were originally designed as right hand drive cars and something about the transmission playing a factor in why they designed them to rotate counter clockwise but that was a while ago. I know there's a company that sell the parts to reverse the rotation of a subie trans without compromising strength I think I saw they were located in Australia? It's been a couple years since I looked into any of that stuff. The b and d series are great motors. I believe the f and h series Hondas also rotate counter clockwise. And there was another v6 that Honda used in the early 90s but I am unsure of its rotation. But parts availability would be slim I would imagine on that one. 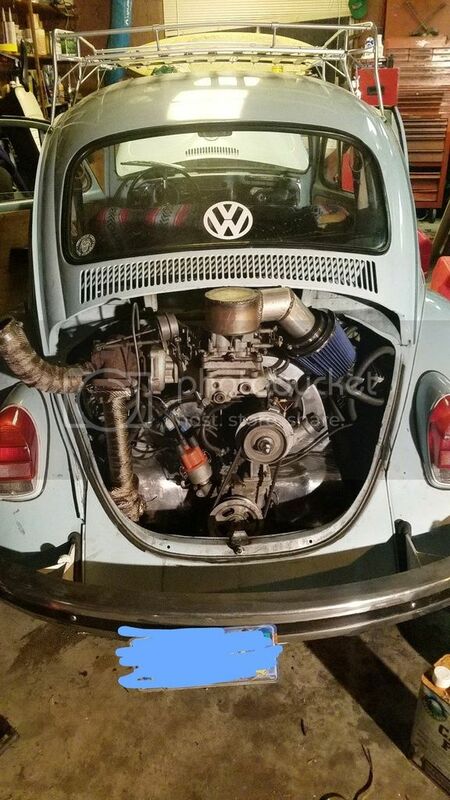 The b d and f are really popular to build and turbo or sometimes supercharge and guys will sleeve the blocks and depending on the budget and type of fuel your using can make anywhere from 300 and I've heard rumor of up to as much as 600 to 700 out of a little 4 banger running e85. Actually a friend of mine has a mid 90s hatch back that he's turbod and getting ready for e85 and the guy he had build the block claims it's safe to run up to 800 hp. Personally I feel like that's a little excessive but it's his drag car so I guess it's necessary. That's one reason I went towards the j series but mainly it's because there so cheap. If this one ever goes I can replace it for under 800 bucks. And if I leave the motor stock it'll be plenty reliable for me and easy to replace if I ever have to. A 002 nor a 091 wont hold up to a V6 .... been there.. broke that. an .091 is only good up to 200hp built smart. 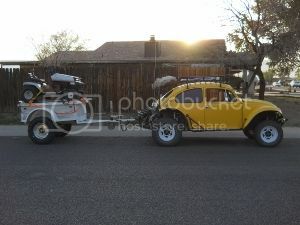 The 002 and the 091 will hold for a while on the street but when you go off roading they break. It is the torque that kills them. got a Mindy 5 sp... never looked back... good up to 350hp. You have a lot of work into the car, looks good.. I am looking for a fight. I am just surprised I the first one to break you the news. My dad has a 091 that was put together by mendeola back in the day but he won't separate with it otherwise I would be using that. I do plan on leaving the engine stock for reliability on both the engine and transmission but I also don't expect the trans to last forever. I still have a bunch more pictures to post to get this thread caught up to where I am today. Currently I've got 90% of the cage work finished just need to do some reinforcing on it in some areas that I'm worried about. But currently it's sitting on all 4 tires with disc brakes all around. The spindles look to be some old tweed combo spindles but not sure on who exactly made them. They are definitely combo spindles. I still have to mount the radiator in the car. Get a fuel pump and configure all of that. Fabricate some sort of fan shroud set up so I can get air flowing the way I need it to. I've been working on getting the wiring started for the car then I have to redo my engine wiring because when I first wired it I planned on using the stock computer but I now have a megasquirt for it. I'll have to get axles for it at some point. 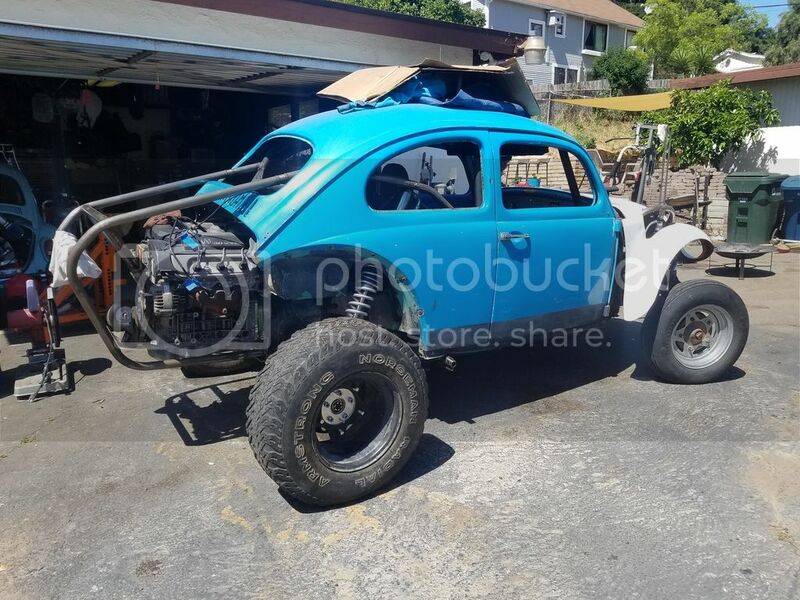 My main reason I'm posting my build thread on here though as opposed to the samba or other sites is because I actually plan on moving to the Prescott area in August and it would be nice to find out where I can take this thing once I get it running finally. In my rail my stock Nissan 3.0 with my 2 091,s one was always getting fixed. 4 - 5 ring and pinions, a few spider gears, 2 maybe 3 first gears. then I twisted the case... I was done. You got a lot of work there... to cut it all out to put in a Mendeola. I am worried about having to redo my transmission set up but i got it for so cheap im not that attached to it when it does go south. I suppose i should get this caught up to where i am today. its been a slow build but over time i got little things done here and there. 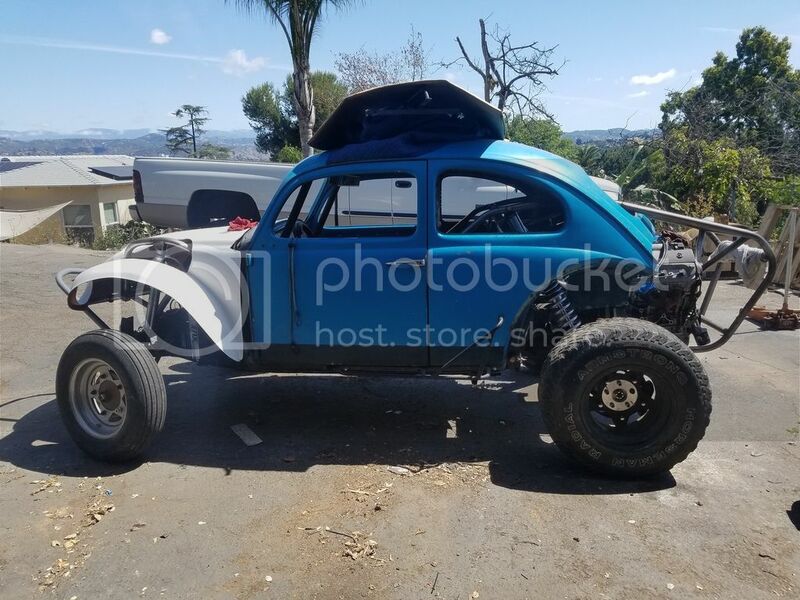 my current goal is to get some wiring started for this thing at least while im waiting for my radiator to show up its been on backorder..
the only things i can think of that arent in these pictures that ive done since are the front shock hoops have been braced, i got a front disc brake setup, got my battery box mounted, started a fuse/relay panel, and my tail light mounting set up is one of a kind..